The 1960s saw the success of various domestic airlines in Mexico. With numerous successes among airlines taking hold in the country, new airlines started to look for cities to make their name outside of Mexico City. One of the new airlines to launch was Aero California in 1960. 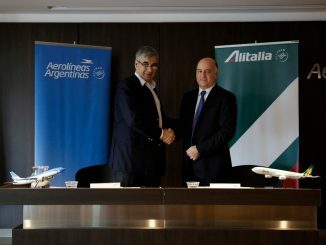 The airline started operations in the Mexican city of La Paz, under the name Servicios Aéreos, as an air taxi company operating Beechcraft 18s. The airline remained an air taxi service through the remainder of the 1960s until the 1970s when the carrier enlarged their charter fleet to include a Douglas DC-3. The carrier also decided to switch their name from Servicios Aéreos to Aero California to reflect their location on Baja California. The carrier would adopt a red, orange, and yellow color scheme along with the name change. With the addition of the DC-3 and a new brand, Aero California started looking into starting scheduled commercial operations. The airline acquired a handful of Convair 340 aircraft and launched domestic service as a low-cost carrier, with their routes mostly serving the west coast of Mexico and the states of Baja California and Baja California Sur. Aero California’s domestic commercial launch was a success. 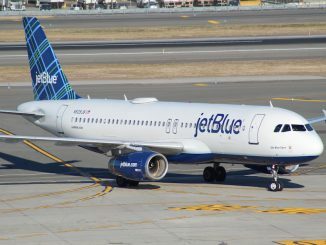 Within the next five years, the carrier would add a dozen new destinations to its route network, including the popular destinations of Puerto Vallarta, Mexico City, and Guadalajara. The carrier also started looking into the United States to expand, linking northern Mexico to nearby Los Angeles. 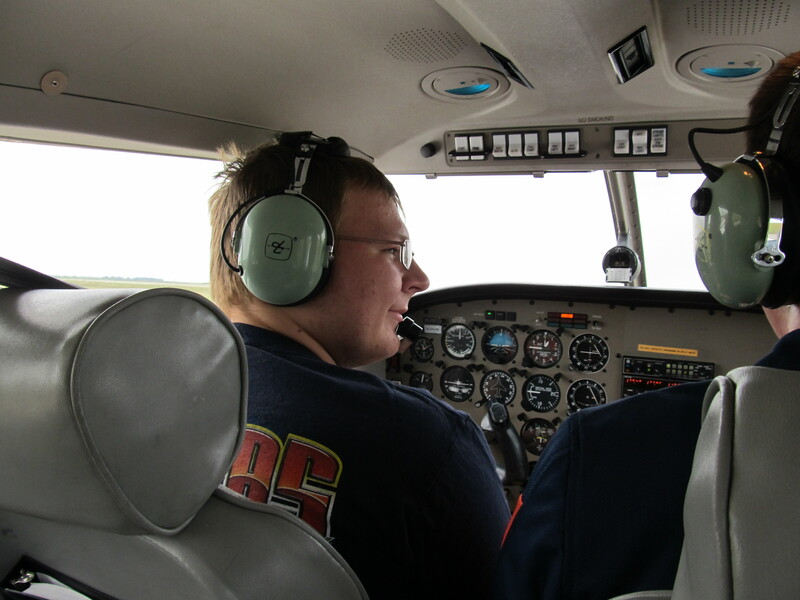 After years of faithful operations for the airline, it was decided that the aging propeller fleet would be replaced. The carrier waited until the 1990s to enter the jet age, with the arrival of the Douglas DC-9 in 1990. Over the next couple of years, the Mexican carrier would add over 20 of the aircraft, phasing out the Corvair 340 fleet and replacing them with the DC-9. 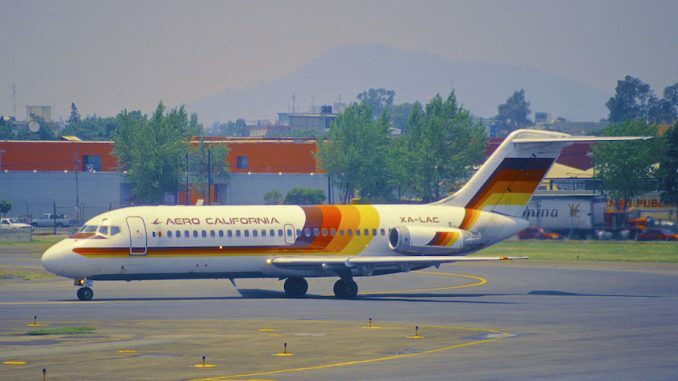 Despite its massive success in the north, Aero California never expanded further south than Mexico City. The airline had one destination in the Yucatán Peninsula, Mérida, but never attempted service to Cancún. Instead, the carrier focused on solidifying their hubs in Tijuana, La Paz and Guadalajara. The carrier continued to expand into the United States, as well, with Los Angeles seeing flight from as many as eight Mexican cities, mostly in Baja California. The airline also experimented with flying to San Diego and Tucson, however, the routes were deemed unsuccessful. Although the carrier had made itself a name within the Mexican aviation industry, their ability to cut corners would lead to their downfall. When the Mexican Secretariat of Communications and Transport found out that Aero California had been skipping maintenance and avoiding safety checks to keep the airline profitable and hold to their very widespread schedule, they were grounded. 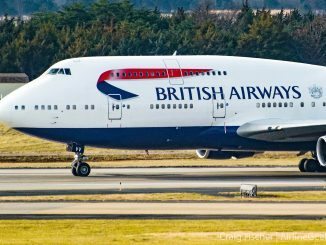 As a result of their dangerous cost-cutting measures, the carrier was given ninety days to fix whatever problems the Secretariat found with the airline. All the problems were summarily fixed, with Aero California returning to the skies on August 11, 2006. 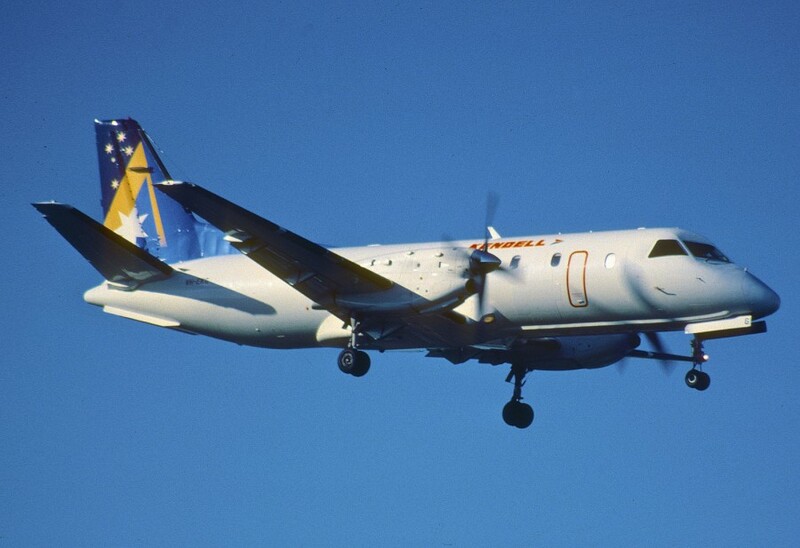 However, the damage to Aero California’s reputation and huge financial losses from the temporary fleet-wide grounding put the airline in a financial hole. Aero California also made severe cuts to their route network, with the airline removing service to cities like Los Angeles, Mérida, León, and Veracruz, and the fleet was trimmed to just over 20 Douglas DC-9s. Despite the rebuild, Aero California’s now tainted reputation, along with the arrival of newer low-cost options like InterJet and Volaris, doomed the carrier. On July 23, 2008, Aero California was once again grounded by the Mexican government, this time due the carrier’s large debt with various ground and air traffic control services within the country. The situation was compounded when the employees started a labor strike two week later over a lack of payments. The carrier has never flown since the second grounding and has sold off the fleet of Douglas DC-9s, with most going to the scrapyard. Although Aero California is deemed bankrupt, the carrier never returned their air operator’s certificate and the Mexican government still sees it as valid to this day. With the air operator’s certificate still in the possession of the airline, there is the potential for Aero California returning to the skies eventually.